Full disclosure: I’m a huge Stephen King fan. Not only am I a big fan of King, I also really dig John Mellencamp. Add the two of them together, throw in a little T. Bone Burnett, music director of such iconic soundtracks as O, Brother Where Art Thou? and The Big Lebowski, and baby, you got a stew going. 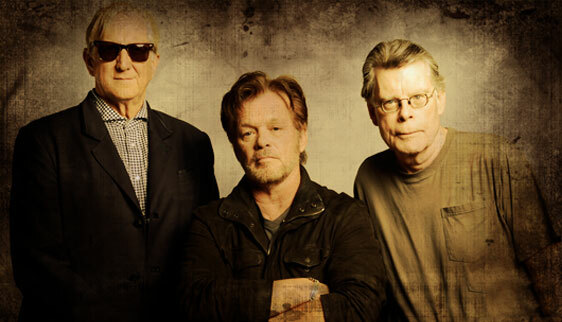 So when I heard King, Mellencamp and Burnett were putting together a musical called Ghost Brothers of Darkland County, I was all in. It took two years from the time I heard about it until it finally came to my town, and I wasn’t disappointed… It actually blew me away a little. As the narrator, the Zydeco Cowboy, sings, the story is an old one—the oldest: a rivalry between two brothers ending in death. Only in Darkland County, the rivalry is between two sets of brothers in the McCandless family. Joe McCandless (Billy Burke, from NBC’s Revolution) has kept a dark secret for decades about the infamous death of his older brothers, Jack and Andy, and the girl who came between them, Anna. Unable to stand his two boys bickering any longer, he gathers up Frank and Drake, and his wife, Monique (played by Gina Gershon, of Showgirls and the more recent, Killer Joe), to the old cabin where his brothers died. Trouble follows in the form of a femme fatale, Drake’s ex and Frank’s new fiancé, Jenna—and the news adds fuel to the fire. Along for the ride, the ghosts trapped in the cabin since their tragic deaths, and a mysterious man known only as “The Shape,” a sort of rockabilly Mephistopheles with a penchant for nasty jokes and murder. When I first stepped into the theater—Toronto’s Massey Hall—and saw the stage with its bandstand and a semi-circle of folding chairs in front of an old radio microphone, I thought we were in for a staged reading set to music. And in a way, it is that—but it’s a whole lot more. It seemed almost like a deconstruction of big Broadway musicals, a stripped-down, Southern-fried, Gospel-styled gothic horror story. The Zydeco Cowboy sets the stage, introducing the characters, and rather than singing, the actors speak all of their lines. Occasionally, they break into song. And often, The Cowboy and The Shape will stop the action to comment on it, usually in amusing ways. For the most part, this works well. In the beginning, it was a tad difficult to follow along, with so many scene changes and not a single set, shifting between the restless spirits from the past and the McCandless family in the present, and the two narrators with different stakes in the action. The first song, “That’s Me,” is sung by The Shape (blues singer Jake La Botz), and he’s got so much charisma he makes the album version sung by Elvis Costello sound like Raffi. The idea behind “That’s Me” is that every time a person thinks or does something evil, it’s because The Shape is whispering in their ears. It’s an oft-used theme with religious overtones that sets the atmosphere for the events to follow. Throughout, father Joe McCandless struggles with his decision to reveal the terrible truth (“But not all of the truth,” The Shape reminds him) to his family. The competition between both sets of brothers, his older brothers who died and his sons, come to a head simultaneously. There are some filler songs that could easily have been trimmed, cutting the run-time from 2 ½ hours down to a slim 2, particularly a song sung by the owner of the Dreamland Diner and one of Monique’s songs which seemed extraneous. 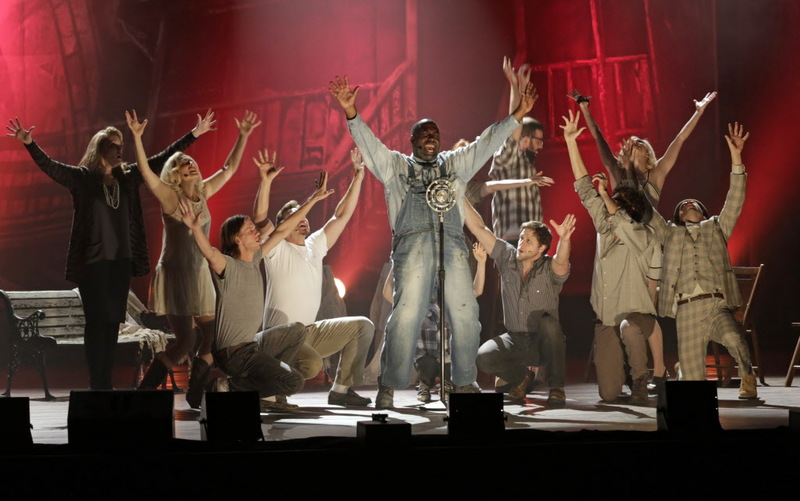 Most of the standout songs are ensembles with the whole cast, such as “Tear This Cabin Down,” and “And Your Days are Gone,” both sung by the ghosts. “What Kind of Man Am I?” and “How Many Days,” in which Joe McCandless struggles with his secret, are pretty moving, belted out in Burke’s gravelly voice. “Jukin,” sung by Jenna in a segment from the past, a song that mirrors Anna’s “That’s Who I Am” in the present, is a rocking tune with a country twang (it’s one of the best songs on the album, sung there by Sheryl Crow). Two songs sung by either set of brothers, “So Goddamn Smart” and “Put Me in the Ground” work well at characterizing their similar rivalries and driving the narrative forward. The climax, in which Joe finally reveals his secret, reuniting his sons, has some great emotional moments. This being a Stephen King story, there are some final twists of the knife that defy cliché in the story’s last moments, leading into another big number, “Truth,” a sort of reprise of some earlier songs. Stephen King’s excellent story and dialogue, Mellencamp’s and Burnett’s catchy music, and the above-par singing skills of the actors made this an entertaining, engaging night out. That’s not to say it was without its flaws: the slightly muddled opening scenes, the odd lighting choices, the barebones stage dressing. For the most part, though, Ghost Brothers rises above these difficulties and provides both a decent musical and a deft horror story filled with action, intrigue and emotional punch. 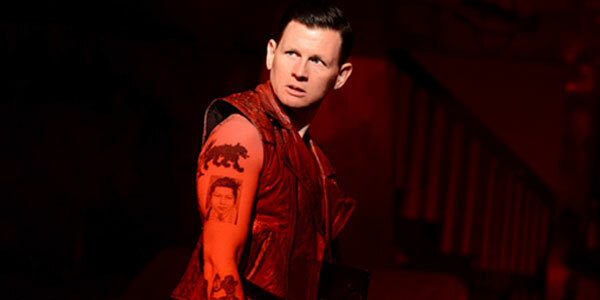 If you’re looking for gore and spookiness, look to George Reinblatt’s Evil Dead: The Musical (which I also suggest). Ghost Brothers is a dark supernatural tale where the real horrors are ultimately human. 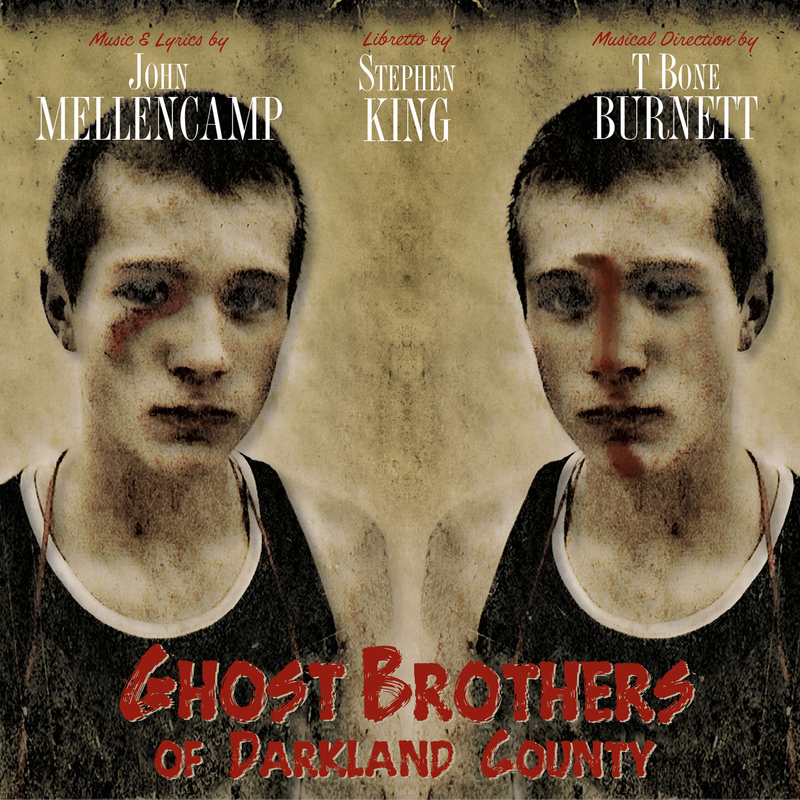 According to Mellencamp himself, Ghost Brothers of Darkland County is on tour until December 6th, in cities all across the US. I was happy they chose Toronto for its one Canadian stop. If it comes to your city, take a chance on it. The audience I watched it with gave it a standing ovation. For Toronto, that’s pretty rare. Did you get a chance to see it? Tell me what you think below!